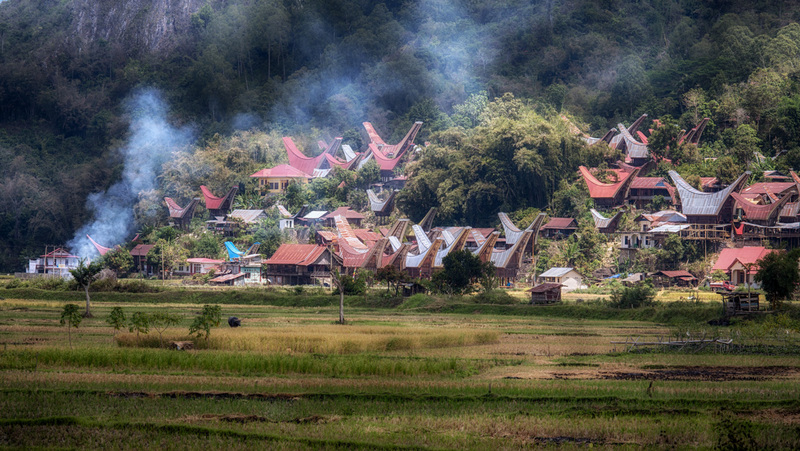 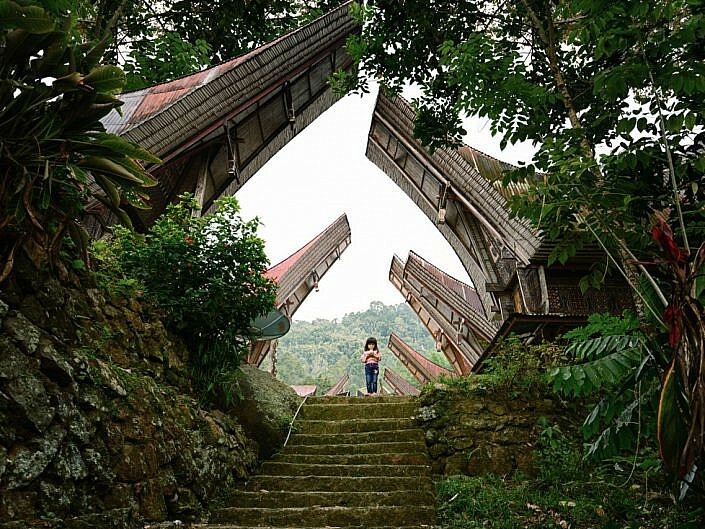 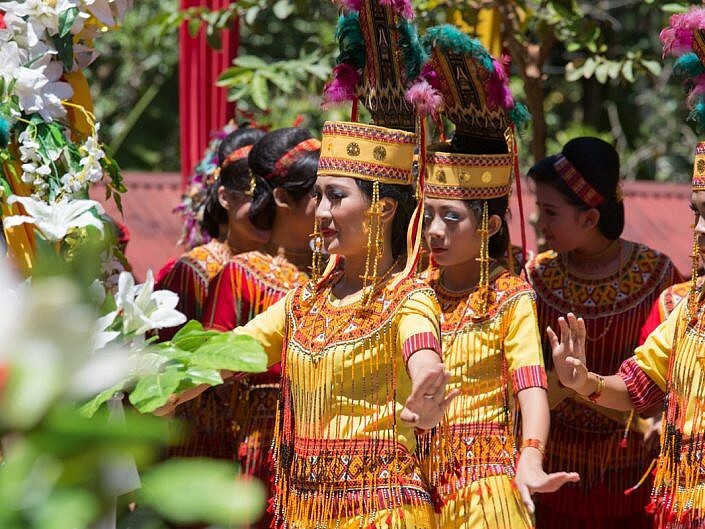 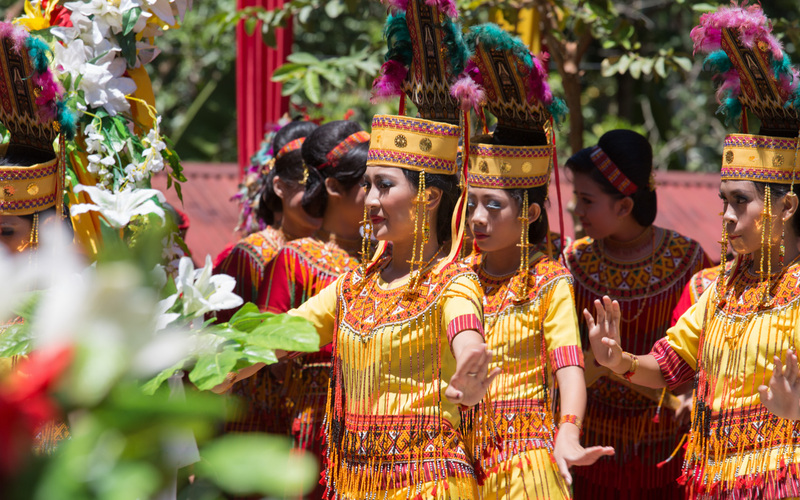 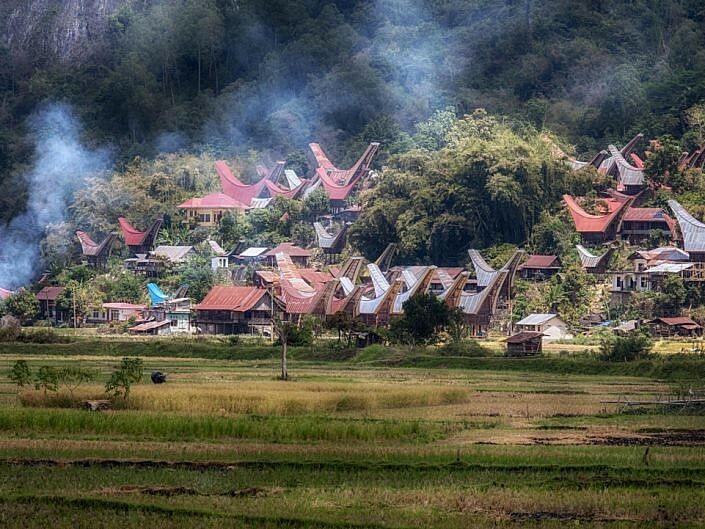 Toraja people live in the central highlands of South-Sulawesi. 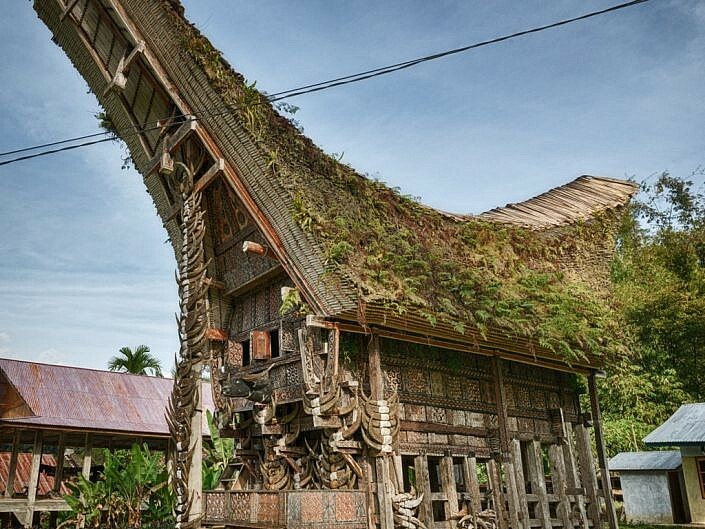 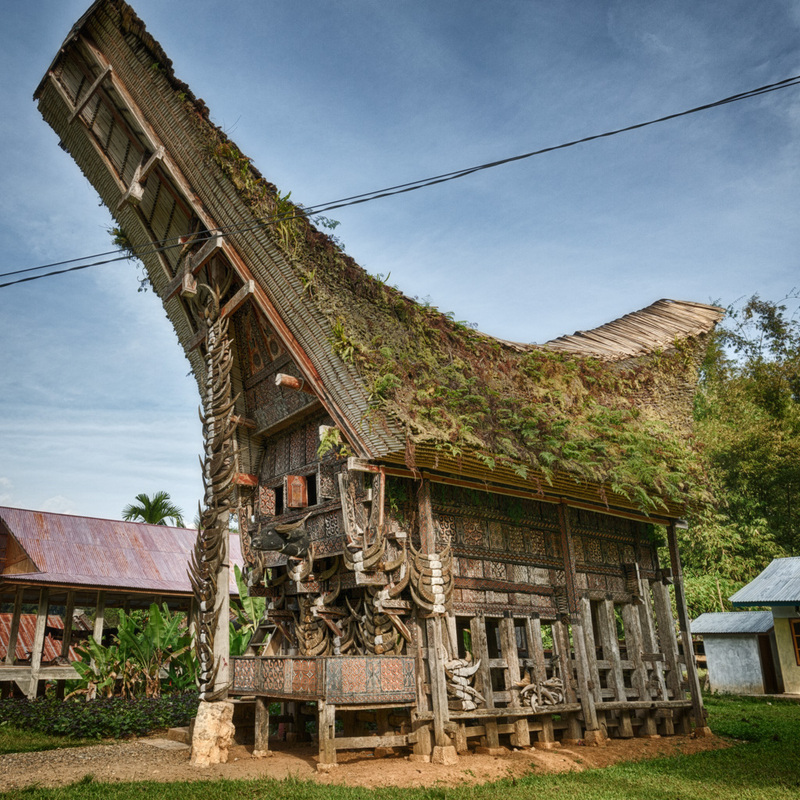 They are renowned for their peculiar homes with roofs shaped in the form of a buffalo horn. 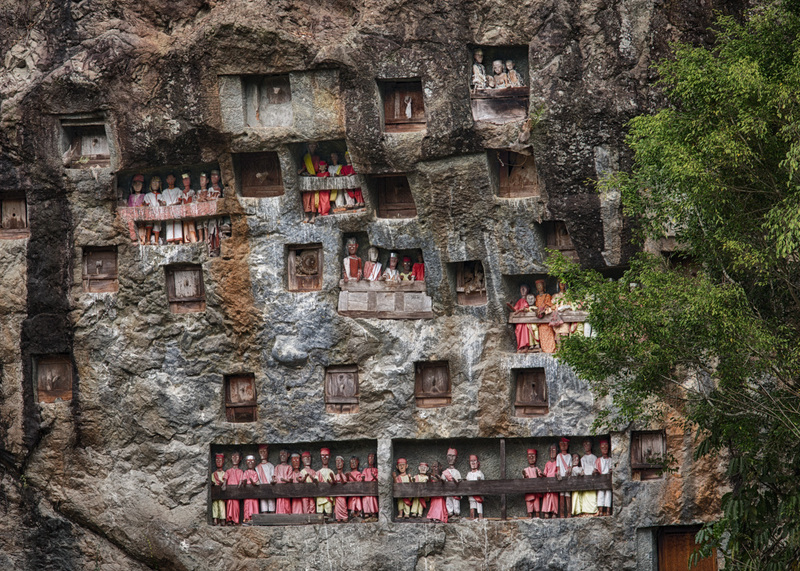 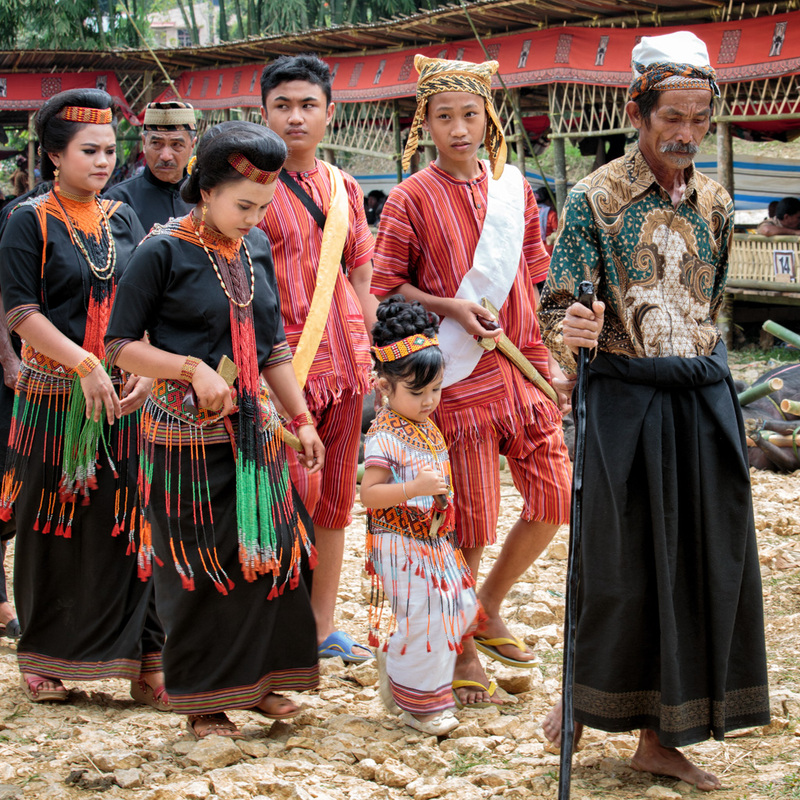 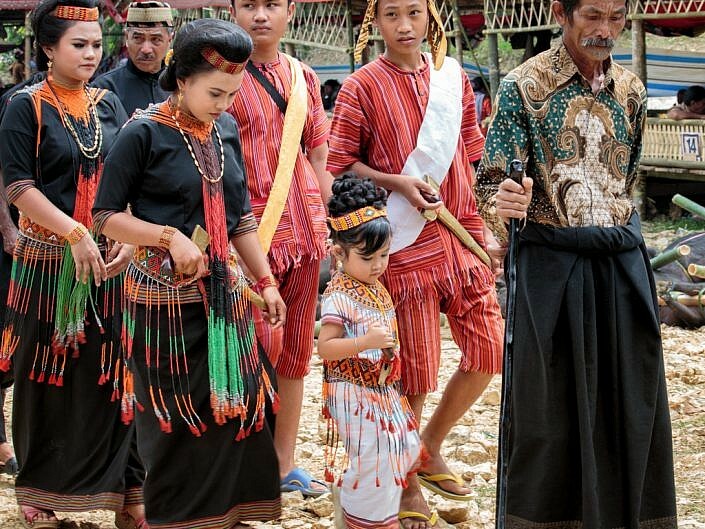 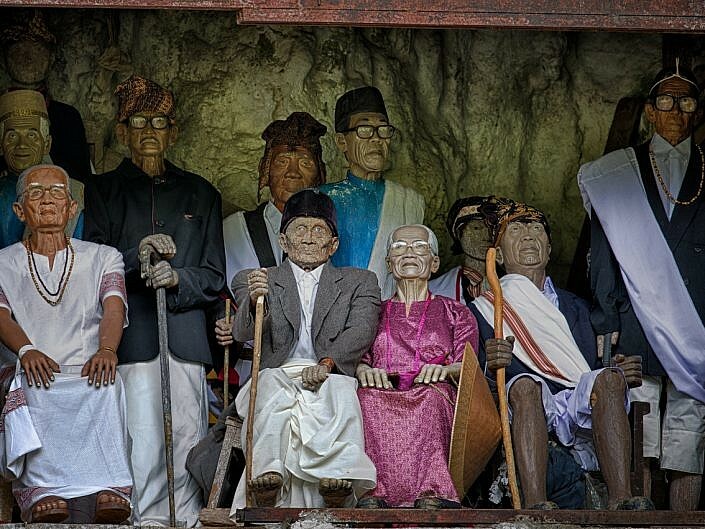 But most famous Toraja are for their excessive funeral celebrations. 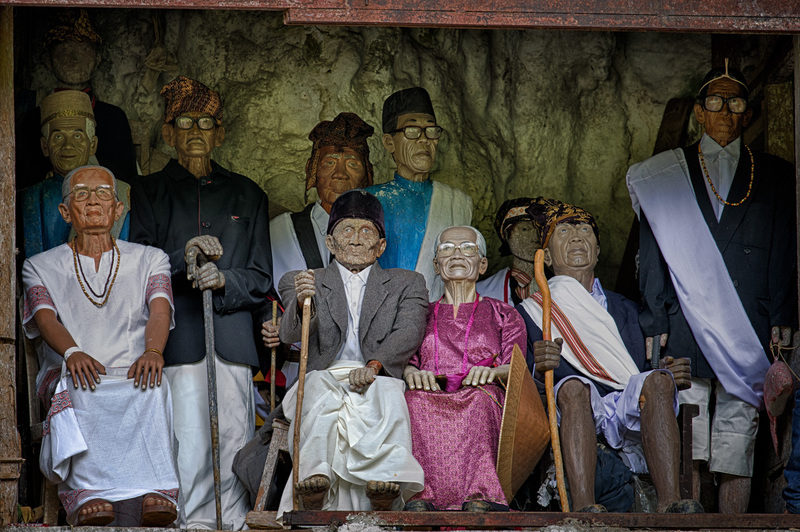 The importance of keeping in touch with ones deceased ancestors is widely accepted in Asia. 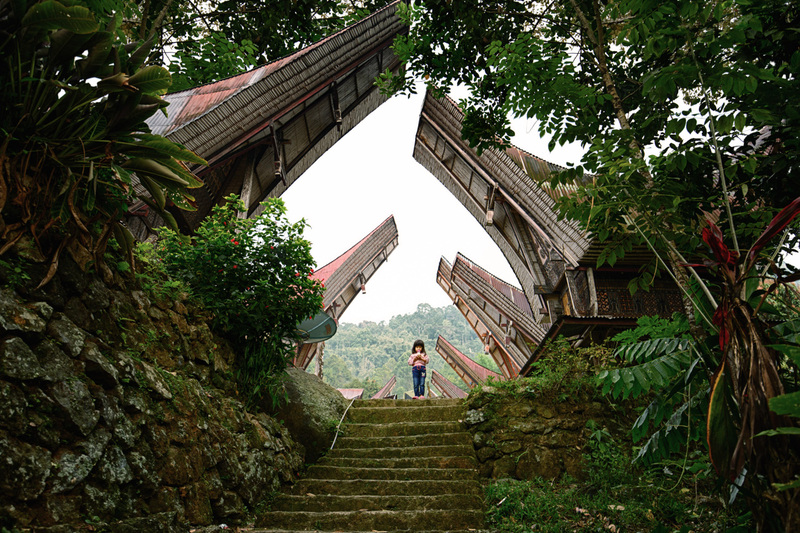 But probably nowhere this is taken as literally as in Tana Toraja.